Comment: Perfect sims are a must. Comment: One of our upstairs windows (above the stairs) gets condensation inside the window. It was not the original window, but was replaced when the builder had to rework the staircase railing and remove a larger window to fir this smaller one and one beside it. The window on the right, as you're facing it, has no problems, but the window on the left gets consistent condensation in-between the panes. Comment: I would like to get an estimate for interior molding to be installed. Comment: I am looking to change a window in our outside wall (cinder block) to a door. Comment: 15'x17' stand alone roof. qty. 4 6x6 holding up a roof to cover a seating area. Roof decking will be tongue and groove 2x6. Materials will be onsite. Orlando Carpenters are rated 4.74 out of 5 based on 724 reviews of 61 pros. 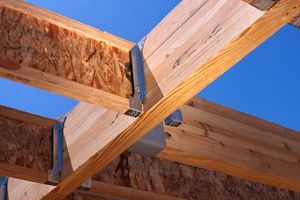 Not Looking for Carpenters Contractors in Orlando, FL?